Please note that this account do not use if you chose "Afterwards Pay". You must then pay BILLINK. For any questions please contact us. Use your online banking with one of the largest Dutch banks, you can directly use iDEAL easy and secure checkout in the familiar Internet payment area of ​​your own bank. As internet log you in the usual way to the bank: you do not have to sign up. Select postpay if you want to receive an email with payment link, which you pay the order of receipt within 14 days by bank transfer or PayPal. Both by debtor as per invoice is a limit of € 500, - for an individual and € 2500, - for business customers. Our assets are transferred to BILLINK, they send the invoice to be paid to BILLINK by email. If not paid to BILLINK they will charge extra fees on time and eventually started a collection process. This goes beyond our company and outside our influence. Note: BILLINK determines whether we can deliver your order with payment afterwards. You see immediately after placing the order or the order has been accepted, or that you have to choose another payment method. You pay electronically via PayPal. You pay with your own email address and password. You need to maintain balance. For credit card payments, you do not need an acount at PayPal. 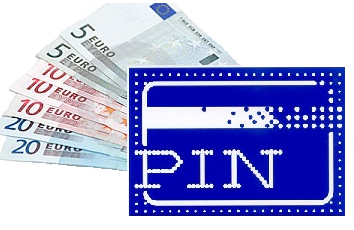 Note: For paying with PayPal we will charge you 3.4% + € 0.35 EUR per transaction. If you choose to pick up the option, we will contact you for a pickup appointment. We ensure that your order at the desired time waiting for you. If required, we can also give an explanation of the ordered products. You can withdraw from us or pay cash. Take-out is only possible by appointment. When you pick up pins or cash. If desired, can be made for pickup explanation of the ordered products.